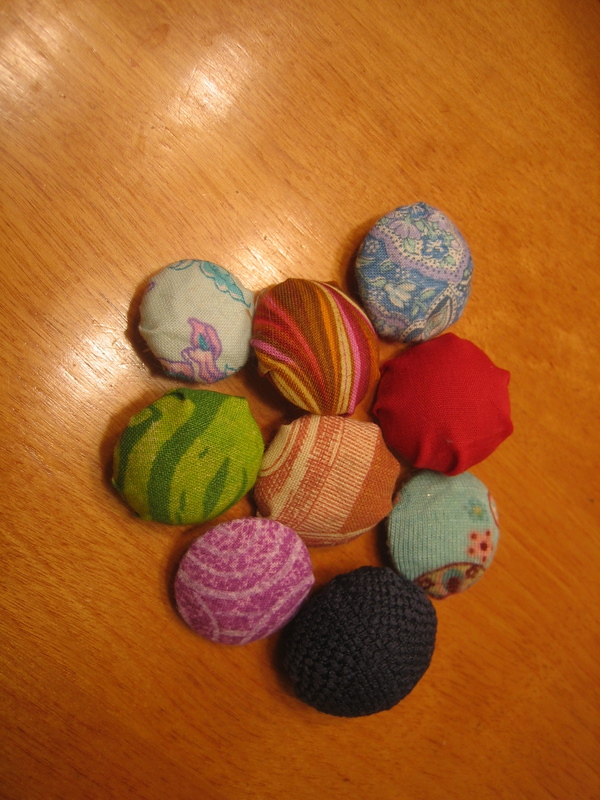 Anyway, I made these nifty fabric covered buttons the other day and wanted to share some pictures! They were really easy. You get a button with a shank (ie: not one with holes, but instead with that little loop on the back) and you cut a circle of fabric slightly larger than your button. Sew a running stitch around the edge of the circle and don’t tie off the thread. 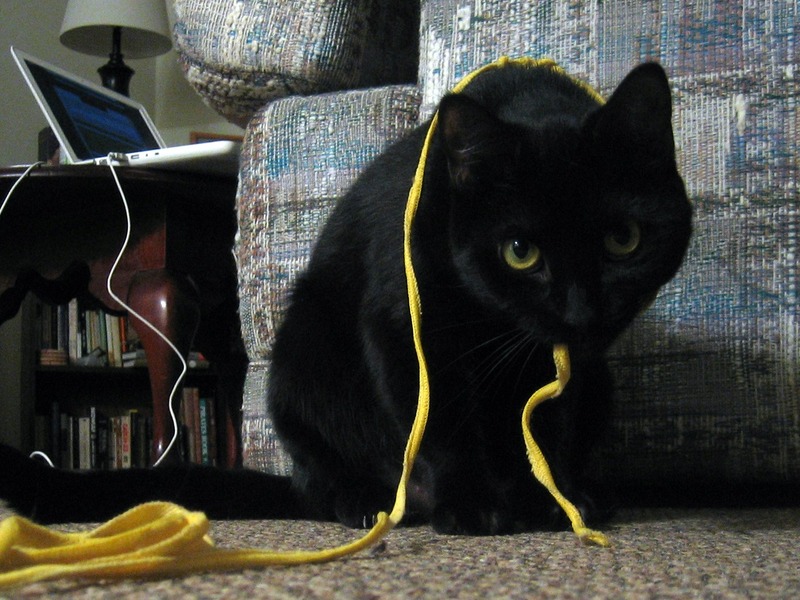 (I mean, tie it off where you started, but not where you finished.) Then, put your button in the center of the circle and pull the loose end of the thread until the fabric is tight around your button, with just the shank exposed! 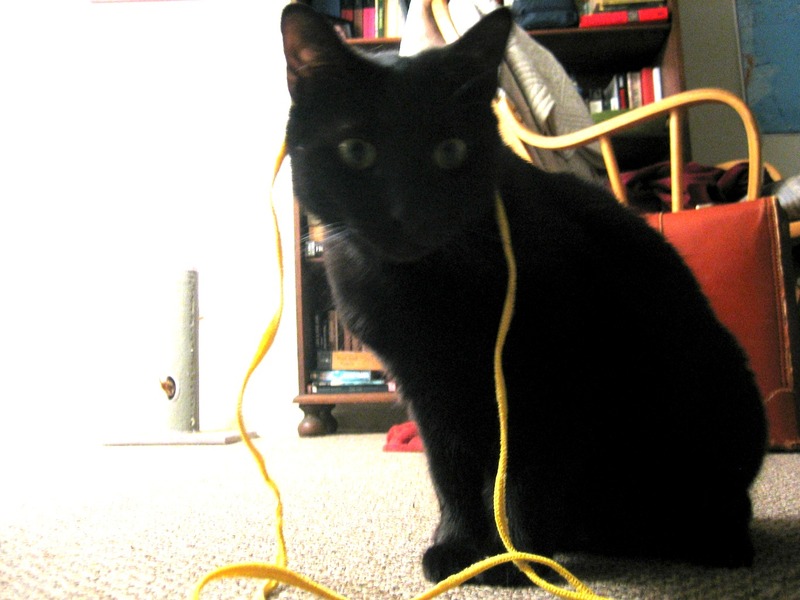 Tie off the thread, and tada! 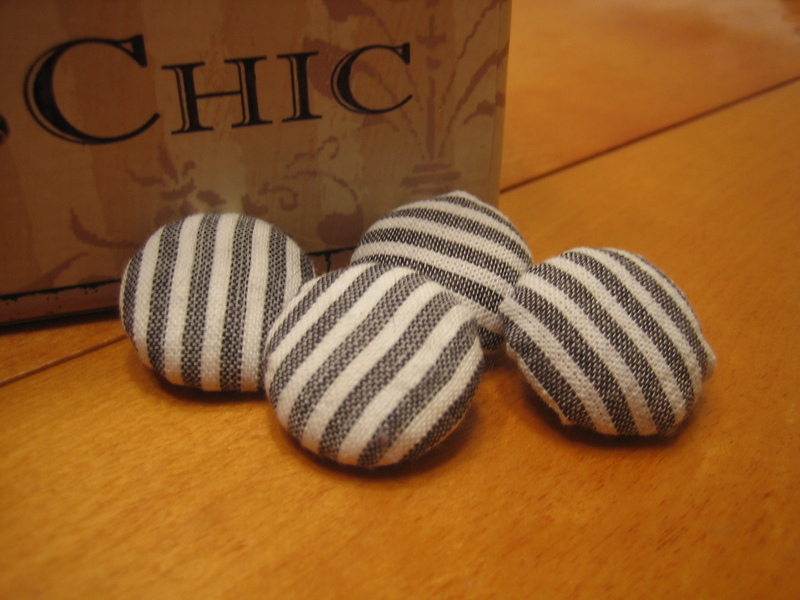 Fabric covered buttons! Craft 25 of 52: Complete! Tomorrow is Saturday which means video chatting with my parents over breakfast and then going to the grocery store while Jordan works. =) Hopefully, I’ll make some decent headway on my jacket too. Also, I have a couple things to tailor, plus a baby blanket and a beach bag to make. My biggest problem is that I see so many things to make, I don’t know which to start first! That’s what’s so great about Saturdays, sometimes I can get two or three projects in! Here’s hoping tomorrow is one of those days! My problem is I start new projects before the other ones are finished! Can’t wait to meet those adorable kitties of yours!! We will be down in April. Not sure which weekend, but we will talk when we get back up to Massachusetts!